Israeli Prime Minister Benjamin Netanyahu | What Did You Say? At the World Economic Forum in Davos, Switzerland, Thursday, President Trump called out the Palestinian leadership for their entitled attitude about receiving U.S. aid, along with their refusal to meet with Vice President Mike Pence. President Trump made the comments as he was meeting with Israeli Prime Minister Benjamin Netanyahu on the sidelines of the major conference. The two world leaders expressed gratitude for the repaired U.S.-Israel alliance. Netanyahu thanked Trump for standing up for Israel against the United Nations’ “house of slander.” Trump praised Israel for standing with the U.S. He expressed concern over potential waste in hundreds of millions in aid money to the Palestinians, after they “disrespected us” by refusing to meet with the vice president. In a speech delivered on Tuesday at the 37th Zionist Congress, Israeli Prime Minister Benjamin Netanyahu made waves when he discussed the relationship between Nazi leader Adolf Hitler and the Grand Mufti of Jerusalem, Haj Amin al-Husseini. Countless other mainstream media outlets followed suit, piling on criticism of Netanyahu. Many media outlets insisted on referring to Husseini as a Palestinian, despite the fact that the leader of the Arabs in British Mandate Palestine would never have been referred to as a Palestinian because that title was sometimes reserved for the Jews living there. In fact, it was PLO leader and Egyptian-born Yasser Arafat who was widely recognized as one of the first leaders of the Palestinian movement, which began as a result of the Arabs’ defeat in the Arab-Israeli war in 1967. Netanyahu later clarified that his greater point was to say that, far before the concept of an Arab-Muslim Palestinian ever existed or before the modern state of Israel was declared, Islamic leaders in the land still sought to eliminate the Jews. Whether or not the Mufti actually convinced Hitler to go forward with his plans is a fair topic for debate. 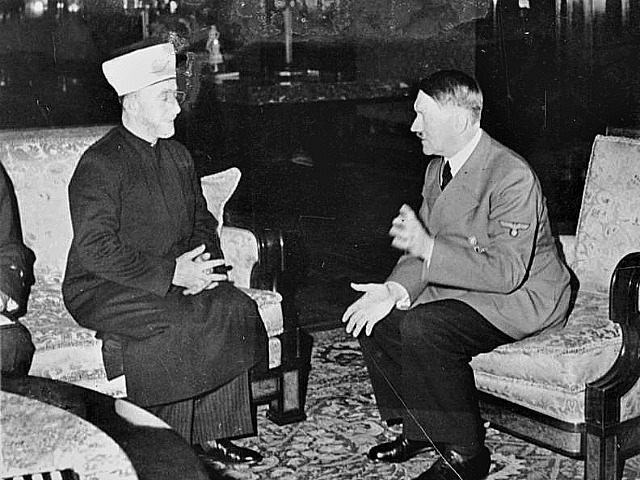 However, the Mufti did support and encourage Hitler in his quest for worldwide Jewish extermination, as proven through historical transcripts provided by the U.S. Holocaust Museum. Moreover, according to the prosecution team during the Nuremberg trials, the Mufti did indeed play a role in facilitating the annihilation of European Jews. “The Mufti was one of the initiators of the systematic extermination of European Jewry for the Germans and had been the permanent collaborator and advisor of Eichmann and Himmler in the execution of the plan… According to my opinion, the Grand Mufti, who had been in Berlin since 1941, played a role in the decision of the German government to exterminate the European Jews,” an SS officer admitted during the trials. The Grand Mufti of Jerusalem, a man who is revered by some as the founding father of the Palestinian movement, was undoubtedly a supporter of the extermination of Jews, an uncomfortable fact that the international pro-Palestinian Left has not addressed in its criticism of Netanyahu. Of all the opponents of the Obama administration’s nuclear deal with Iran, none have been as outspoken as Israeli Prime Minister Benjamin Netanyahu. From the start, he has warned anyone who will listen of the folly of trusting Iran with nuclear capabilities. And with Congress in the middle of a 60-day review of the deal, Netanyahu is putting the pressure on U.S. lawmakers. Netanyahu said that the deal would likely lead to the “nightmare” scenario of a Middle Eastern arms race, a concern echoed by many regional experts. Such a scenario could put Israel in extraordinary jeopardy, to say nothing of its effects on the United States. He also warned that Iran was building intercontinental missiles for the express purpose of hitting the U.S. Unfortunately, there doesn’t appear to be a viable political strategy for overturning Obama’s deal. Any opposition from Congress will be swiftly vetoed by the president. There’s an outside chance that enough Democrats could cross the aisle to override the veto, but the numbers aren’t promising. And given the track record of Republican lawmakers when it comes to blocking Obama’s agenda, there’s little reason to hope for a miracle. That leaves us to wait and watch and pray that Iran does not have its heart set on a nuke. It feels foolish to even entertain such a notion, but this president has given us no other options. We all know this is going to lead to a disaster down the road, but we are powerless to do anything but stand by and wait for the mushroom cloud. This is the legacy of Barack Obama. To leave the U.S. and her allies in a world of danger. It would be nice if we were wrong about this one. To think that Iran’s theocracy has turned over a new leaf. That international inspectors will be able to catch cheating in time to prevent tragedy. To hope that someone in the Obama administration actually knows what they’re doing. But Netanyahu’s warnings, sadly, sound a lot more plausible. In their coverage of Iranian Supreme Leader Ayatollah Ali Khamenei’s speech on Saturday during which he made his first public comments on the agreement over Iran’s nuclear program, major media outlets either intentionally or inadvertently failed to mention that the top Iranian figure was holding a rifle at the podium. In video of the speech posted by Iran’s PressTV, the firearm was visible in his left hand at 8:51, 12:05 and 18:20. Toward the end of the speech, the gun was leaned against the podium – as seen at 26:50 and 27:40. To drive home the point, the supreme leader’s official website posted a close up photo captured from beside the podium of the gun which even showed the magazine jutting out. TheBlaze reviewed articles on the speech posted by the Associated Press, Reuters, Agence France-Presse and The New York Times. Some journalists made efforts to include expert opinion in their articles, offering analysis of Khamenei’s words (“to pacify” or “quiet” hardliners); others pointed out that it was “carried live by state television” and noted that the speech was given after holiday prayers marking the end of the Muslim fasting month of Ramadan, offering atmospheric color. But the most potent sign of all reflecting his message – the gun balanced under his left hand holding his speech notes – was left unmentioned. It’s unlikely that if the speech had been given by an American or any Western politician that this scene setting detail would have been overlooked, especially given the hotly debated issue of guns. This video report from AFP-TV also did not include even one shot of Khamenei holding the gun, instead showing his face close up. He also praised Iranian demonstrators who a week before chanted “Death to Israel” and “Death to the U.S.” during protests marking the pro-Palestinian Al Quds Day commemoration. The ayatollah said that the slogans “Death to Israel” and “Death to America” would continue to be heard in Iran. Israeli Prime Minister Benjamin Netanyahu on Sunday pointed to Khamenei’s speech as offering proof that Iran would not change as a result of the nuclear agreement. “If someone thought that the extraordinary concessions to Iran would lead to a change in its policy, they received an unequivocal answer over the weekend in Iranian ruler Khamenei’s aggressive and contrary speech,” Netanyahu said. The nuclear deal reached with Iran on Tuesday is clouded by uncertainty about whether the Iranian regime will live up to its relatively weak commitments. One outcome is almost certain, however: Israel will launch a pre-emptive strike against Iran, hoping to weaken the regime and stop, or slow, its nuclear program. Israel will attack–possibly by year’s end–because there is no other way to disrupt Iran’s advance to regional hegemony, which will become unstoppable once the deal’s provisions–especially the non-nuclear provisions–begin to take effect. Despite what the Obama administration and its media supporters are saying, there is almost no doubt that the Iran deal, should it survive Congress, will enable Iran to become a nuclear power. President Barack Obama himself admitted as much in April, when he defended the provisional deal signed in Lausanne by admitting it allowed Iran to reach “breakout” shortly after the ten-year (now eight-year) expiration date. The only question is whether Iran will move that date forward and risk the meager diplomatic consequences of breaking the deal. There are Israeli analysts–a minority–who believe that Israel can live in the shadow of a nuclear-armed Iran, at least for a while. After all, Israel has developed a lethal “second-strike” capacity, in the form of nuclear missiles aboard Dolphin-class submarines programmed to target Iran. That leaves the Iranian regime to weigh the odds of surviving an Israeli counterattack versus the chances of causing the end of the world as they know it. From a fanatical religious perspective, it is a win-win scenario–but cooler, or less pious, heads may prevail. The problem is that the Iran deal goes so much further than the nuclear issue alone. The Iranians shrewdly bargained for a host of late concessions: an end to the international arms embargo, the lifting of a ban on ballistic missile technology, and an accelerated schedule of sanctions relief that will pour over $100 billion into depleted Iranian coffers. The regime knew that Obama would not walk away–that he had committed his political career to a deal, and he was already dismissing all other alternatives, severely undermining his own leverage. Israel just might find a way to live with a nuclear Iran, but it cannot live with a nuclear Iran and an array of turbo-charged Iranian proxies on its borders. Iran has already renewed its support for Palestinian terror groups in Gaza, and the U.S. has quietly allowed Iranian-backed Hezbollah to regroup in Lebanon, even as it has been weakened by losses in the Syrian civil war. Flush with cash, armed with advanced new weapons, and perhaps equipped with nuclear contaminants, these groups will pose an ever-greater threat to Israel’s security–and soon. None of those referred directly to the Iranian nuclear program. Obama ignored Netanyahu’s suggestions and forged ahead. An Israeli strike might not stop the Iranian nuclear program. But it could stall that program, and create a renewed sense of vulnerability around the regime, which was near collapse as recently as 2009. Israel could also make Iran pay a direct cost for arming Hezbollah, Hamas, and other terror groups–a cost historically borne by the civilians of southern Lebanon or Gaza. It could project a conventional deterrent that would affect Iran here and now, as opposed to a nuclear deterrent whose effect might only be felt after an atomic exchange (i.e. not at all). For Israel, the costs of such an attack on Iran–even a successful one–could be severe. It would be condemned and isolated internationally. 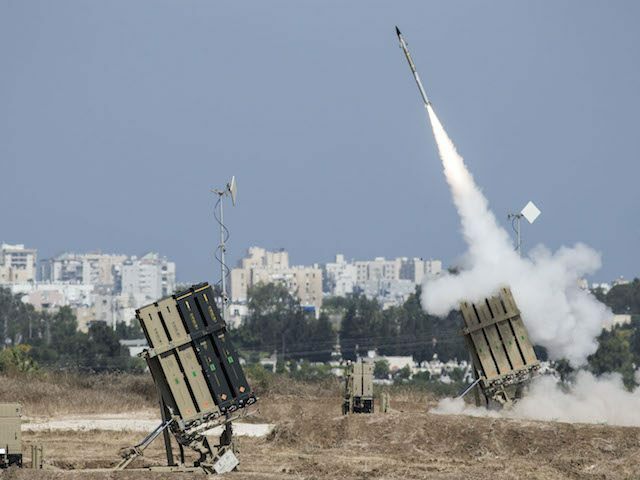 It might suffer thousands of rocket attacks from Lebanon and Gaza. It may lose thousands of soldiers and civilians in a ground war. Obviously the consequences will be less damaging–or more bearable–if the pre-emptive strike is successful. The reason Israelis are willing to take the risk at all is twofold. First, they have done it before (Iraq 1981; Syria 2007). Second, the alternative–thanks to the Iran deal–looks far worse. The Obama administration has done all it can to prevent an Israeli pre-emptive strike, from leaking Israeli attack scenarios to denying Israel air space over Iraq. As a result, the only realistic bombing plans–whether Israel targets Iran’s nuclear and political installations directly, or detonates an electromagnetic pulse (EMP) over the country–involve a Doolittle Raid-style attack from which Israel’s pilots will not expect to return, or a landing in Saudi Arabia. The latter was once a non-starter, but–ironically–Obama’s overtures to Iran have made it possible. The clock is ticking, however. Before the Iran deal, it was thought that Israel could only carry out a pre-emptive strike in the time period before Iran actually became a nuclear power. Now, the deadlines are even shorter, and more complex. Israel would need to attack before Russian S-300 surface-to-air missiles, already sold to Iran, can be delivered and activated. It would also need to attack while Hezbollah and Hamas are still weak, war-weary and cash-strapped–i.e. before sanctions relief delivers billions to Iran’s regional war and terror efforts. Israel must also be wary of attacking too soon. It will not attack in the next ten days, for example, because they coincide with a religious period of mourning for historic defeats. It would also make little sense for Israel to attack while Congress is debating the Iran deal. But Israel will attack before it loses the option. It will do so because the purpose of Israeli statehood is to enable Jews to defend themselves, and not rely on the help or mercy of others. Obama wants to build a new legacy, but Netanyahu has inherited an old legacy–one he cannot ignore.